Giving the Gift of a Dove to family and friends is a great way to celebrate a variety of life events; such as anniversaries, birthdays and christenings or to simply make a donation to our appeal. The dove is synonymous with the hospice and symbolises your donation. When you give someone the Gift of a Dove, you will be giving them a worthwhile present as your donation will help us reach the £9 million we need to raise to reconfigure and refurbish our Hospice. Whilst the doves we have on offer are small, the thoughts and love behind your donation to the Hospice are great. It is only with the continued support of our donors that we are able to secure the transformational change we are making; to continue and enhance the vital services that we are able to offer our patients and their families. We simply could not do this without you. 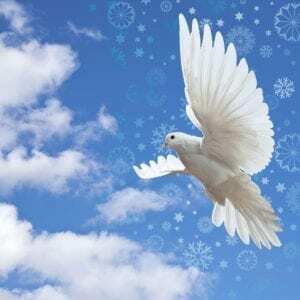 Please click here to Give the Gift of a Dove.